How many patients have I known over the years who’ve found themselves caught in the quicksand that is caring for a chronically ill loved one? Too many to count, so I’ll recount just one. Mrs. S is an elderly woman married to a retired university law professor, who has been slowly losing a battle with dementia. Once a witty, intelligent, and self-deprecating delight of a man, over the years I’ve been caring for him, he’s gradually changed into a cantankerous, vitriolic, shell of his former self, now barely able to remember the day or month, much less the year. He still knows his wife, though. And me. His ability to care for himself, however, has steadily deteriorated. In addition to now requiring help dressing, bathing, and feeding himself, he needs help remembering to take the multitude of medications he requires for his several other serious medical conditions. Unfortunately, not only doesn’t he remember to take them, he often angrily refuses even when his wife remembers for him. He’s 6’2″ and 185 lbs. His wife is 5’3″ and 110 lbs. Mrs. S is one of the sweetest patients I have. So appreciative. So consistently optimistic. But she’s been steadily bending lower and lower under the weight of caring for her husband for years, and recently, when he was admitted to the hospital for a stroke that left him even more dependent on her for care, has seemed about to break. She’s accepted some home care services but has consistently and adamantly refused to place him in a nursing home, despite what now amounts to having to provide him near 24-hour-a-day care. I worry about them both all the time. I’ve had extensive discussions with Mrs. S about the joys and burdens of caregiving and have dispensed all the support and advice I know to give. Some she’s accepted and some she’s not. Given the increasing likelihood that many of us will find ourselves the primary caregiver for a chronically ill loved one at some point in our future—if we haven’t already—I wanted to offer my thoughts on what I’ve come to think of as the Caregiver’s Manifesto. Care for yourself first. 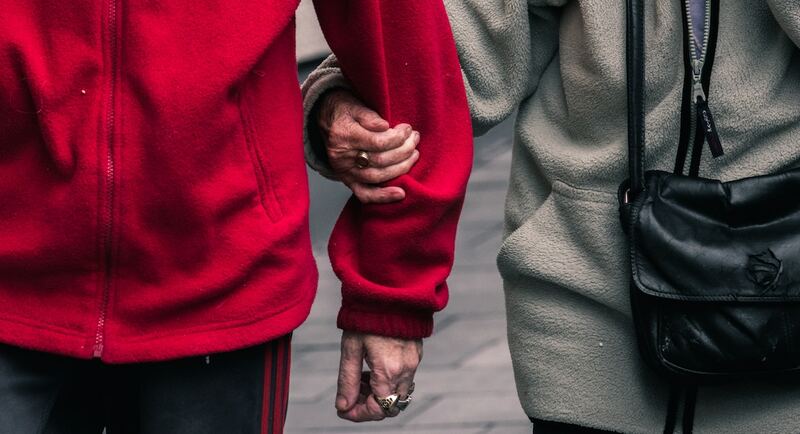 Caregivers routinely make their first priority taking care of someone else—which is why they often need to be reminded to take care of themselves. Caregivers, I’ve found, often have a difficult time choosing their own needs over those of others, sometimes finding themselves even incapable of it, having somewhere along the line inadvertently signed a Good Guy contract. But caregivers ignore their own needs not just at their own peril but at the peril of the people for whom they care. Typically what happens if such willful self-neglect goes on long enough is that caregivers begin to experience periods in which they feel overwhelmed (which, of course, they may feel even when not ignoring their own needs! )—and find themselves suddenly and even violently resentful and opposed to doing any caregiving at all. These feelings tend to come in bursts and are often followed by intense feelings of guilt, especially if in an angry moment they were actually expressed. It’s often hard for a caregiver not to project their frustration onto the very person for whom they’re caring even though the frustration they feel is often with the experience of caring for their loved one or even with themselves (for being unwilling, or feeling unable, to care for themselves). But caring for yourself isn’t selfish: not only are you, as a caregiver, a person, too, who struggles and suffers with life like anyone else and who deserves to be happy like anyone else, but if you allow yourself to become miserable in the act of caregiving your capacity to provide good care to anyone will become significantly impaired. When you’re a caregiver, caring for yourself is part of caring for another. Further, few people who require the care of others want to require the care of others and often feel guilty as a result. Making sure to take care of yourself can often go a long way in assuaging the guilt your loved one may feel over requiring you to care for them. So figure out whatever you need to do to maintain balance—a daily walk by yourself, a good book to enjoy at the end of the day, an occasional movie—and do it. Preserve whatever you can of your original relationship. Just because your spouse/sibling/child/friend requires your care doesn’t mean either of you want to change the nature of your relationship from its original state—but that’s still often what happens. It’s extremely difficult when your spouse, for example, requires help with basic self-care tasks for the balance of power that exists in all such relationships not to shift toward the caregiver, a shift that can’t help but alter the way you relate to one another. But both of you retain the power to create moments in which your old ways of relating are recaptured. Spouses can still find ways to connect romantically or intimately with their partners in creative ways—if not sexually, then at least physically (just by holding hands or snuggling) or even through intimate conversation. Children can have discussions with parents about their hopes and fears. Exhaust your creativity to retain whatever elements of the way you previously related to your loved one you can, not just for your loved one but for you. The way you used to connect to your loved one isn’t the only way possible. Find new ways that work for you both. Laugh at everything you can. Some psychologists consider laughter an adaptive defense mechanism that helps us withstand unpleasant experiences. While that may not fully explain why we laugh, it’s certainly true for many people in many circumstances. So, seek to create experiences designed to make you and your loved one laugh. Seek humor in even the most grisly circumstances. The act of laughing itself, of being able to laugh, both creates and is created by a high life-condition, a state that most decidedly makes everything easier to bear. A recent study of patients with dementia showed that even when people with an impaired ability to remember things forget the experiences that affected them emotionally, the emotions of those experiences (whether good or bad ones) remained stirred up. So even if they don’t remember why, after laughing, even demented people still find themselves feeling good, as humor, when heartfelt, always provokes joy, even if only a little. Never forget that most important of equations: humor = tragedy + time. Get as much help as you can. Most caretakers only think to ask for help long after they actually need it. Additionally, most caretakers lack sufficient training for the caregiving they’re required to provide. This is a recipe for disaster. Learn what you need to learn in order to be a good caretaker however you can and seek professional support as early as possible. Certainly, health insurance is often a limiting factor, but do your best to work with whatever you have. Know your limits. If you constantly allow your limits to be exceeded without sufficient rest in between episodes you’ll almost invariably become used up. I’ve watched numerous caregivers allow their entire lives to be taken over by their caregiving responsibilities—watched them abandon jobs, other relationships, and any semblance of an enjoyable life all in the name of caregiving, insisting on shouldering all the caregiving duties themselves. While such dedication is admirable, it is neither sustainable nor healthy. When this occurs, it ruins two lives instead of one. Often this state of affairs is reached without the caregiver’s even realizing it, their loved one’s needs often growing slowly like grass—without being directly recognized. A sick loved one’s illness is their caregiver’s illness, too, just one experienced in a different way than if they were the one who was ill. It is neither selfish nor weak for a caregiver to acknowledge their limits and act accordingly. Embrace your new life. Life is change. Everything is impermanent, the original Buddha taught. Everything—and there is nothing we can do to change this fact. Rather than rage against a change we don’t want but can’t stop, we must embrace it, fully discarding our old lives and seeking to create meaning and value out of our new ones. It’s amazing how simply accepting adverse circumstances we can’t change can free us from some of the pain of experiencing them. Value yourself for the care you provide. Even if your loved one doesn’t express their appreciation, or expresses it so often it ceases to have meaning, recognize and value your own achievement in committing to the care of another person. It’s a great gift to give—perhaps even the greatest—and it makes all who choose to give it truly worthy of the word noble. All caregivers are heroes. It’s impossible to be a caregiver without making some sacrifices. Then again, most relationships, to be sustained, require some sacrifices. Perhaps not as many as the caregiver of a chronically ill person find themselves having to make, but the joy you can experience in the relationship need be no less. Reflect on the guidelines above and on whatever other ones help you to feel you can handle the responsibility you’ve accepted in a way that doesn’t ruin your life or prevent you from enjoying the relationship you now have. Because no matter how one-sided that relationship may now seem, it most certainly is not. Wow. Lucky is the caregiver who has you as their loved one’s doctor, Alex. My husband is my caregiver and has been for nine years. I’m not suffering from dementia or another illness which has limited my mental capacity. And that’s the blessing for us in all of this because I’d hate to think how difficult life would be for him if I were. I say that because, as far as I know, I’m the only person who encourages him to do some of the things you mention in your manifesto: keep up his interests outside the house even though I can’t accompany him, ask others for help, know his limits, try to find joy. In my experience, the burden that the caregiver carries is overlooked by almost everyone, from family to friends to the medical profession. These nine years have taken their toll on my husband. I hate to think how much worse it would be if he didn’t have me watching out for him from the bed. I wish your manifesto could be distributed to medical clinics everywhere. Now, I must read it again to sharpen my own advisory skills in this area! Toni: Thanks. I’m glad to hear from you of all people, who I know (unfortunately) has great experience with this. I think your assessment is right on that many groups but especially doctors often forget the other caregivers (besides themselves) who are involved with their patients. Right on. Caring for others starts with caring for the self. This post really could be used as a handout. Kudos! Thank you for this. I am going to share it with the caregivers of my patients. So many of them are just worn out, I don’t know how they do it day in and day out and remain smiling and optimistic. Of course there are those at the end of their sanity, struggling with the need for long term care…never an easy topic and certainly never and easy decision. My husband has a chronic neurological disease and at some point I will be his caregiver. I am hoping that I can take the lessons that I am learning from the caregivers I come in contact with daily and store them in my memory banks to use when the time is here. Will share this good encouragement with my wife who is a caregiver to our daughter. She has been a caregiver since Dec 2008. This very true—a sick loved one’s illness is their caregiver’s illness, too, just one experienced in a different way than if they were the one who was ill.
We are still fighting and challenging; we know we will win. As long as we persevere in chanting daimoku, we have nothing to fear. Alex, I can’t tell you how much I appreciate today’s post. As a caregiver to my mother who has Alzheimer’s, it especially hit home. #6 and #7 are what I need to practice more often. Pushing against this new life that has been thrust upon me only makes it push back even stronger, sometimes to the point where I feel wedged in a corner by it. Also, “recognize the value of your own achievement in committing to the care of another person.” WOW. I never ever viewed what I did and what I still do as an achievement. But it is, isn’t it. It truly is. Thank you for making me feel lighter in heart this morning. Lisa: I’m so glad you found my post encouraging. Of course you can link to it on your blog. I think a lot of your advice is also relevant to new mothers—point #1 especially. Thankfully, in that situation, there is joy and a more positive end in sight (the baby will, eventually, sleep through the night!). Still, the frustration and resentment can be very real and often are not discussed by physicians or loved ones. Kathy: How true! A lot of the stress of childcare is left unvoiced but is felt by every parent I know (including me!). Excellent post, Alex. I watched both of my grandparents take care of their spouses (luckily with help). And now my mother is taking care of my grandfather. She is semi putting her life on hold, and she makes a lot of sacrifices, which she doesn’t think the other family members appreciate. It definitely puts a strain on her relationship with the rest of the family. I am definitely going to forward this to her. Ariel: Glad you liked it. No one gets sick in a vacuum, do they? It doesn’t just affect caregivers but the people who care about the caregivers as well. Thank you for the wonderful post. As a family caregiver for my husband these last 10 years, I understand the stress involved in caregiving. Society looks at caregiver fatigue from a psychological level. Instead, let us look at caregiving from a scientific-vibrational perspective. Let us examine the symbiotic relationship between a family caregiver and their loved one they are caring for. It is like one tuning fork vibrating at a certain frequency, which can make another tuning fork vibrate at the same frequency. This is called resonation; to evoke a feeling/vibration of shared emotion and health. Caregivers eventually start to vibrate at the same frequency as their loved one, creating fatigue. To change the vibrational frequency the body and mind is tuning into, use laughter, mediation, nature or music to change/break the frequency. I will listen to Tibetan master chants, or tones of crystal bowls, while sleeping at night. Not only will music “cleanse” the body, it will also cleanse the environment and will also help people within the same room vibrate at the same frequency, making it easier to connect with each other. The use of laughter and drinking herbal teas and eating natural food will also pick up the vibrational frequency to a healthy level. Nature that is tranquil will also remove fatigue and create strength. So always watch with whom and what you are connecting with. Energy around us is abundant. Just tap into the right frequency and use it to your good health. As someone who had to take care of the caregiver, my mom, and watch out for her as she took care of my dad during his illness, I understand the concept you discussed of embracing your new life. As it became obvious that my dad would be spending extended periods of time in the hospital I worried that the daily commute my mom insisted on making would begin to wear her down, so I got her a small apartment near the hospital that would allow her to even bring her dog with her. She embraced her new living quarters and acted like a teenager with her first bit of freedom and her own place. She took time each evening to take a walk with her dog and got friendly with the neighbors in her building. I think it was a tremendous help to giving her a life and keeping her spirits up. Alex, this is a wonderful post. It’s so true. Thank you. As a former caregiver for my husband after his traumatic brain injury, I fell into many of these traps during those months. Later, I realized I had unintentionally created this image of myself as the Noble, Suffering Wife as a (false) ideal to live up to, and then had to learn to let go of it. Caring for Ken truly was one of the best things I’ve ever done and something I would gladly do again—although with more care for myself. It took some time for me to recover along with him. Today, we’re doing well, thank goodness. And my experience led me to helping other family caregivers learn how to journal for self-care. So, there was a blessing in it all. May I have your permission to link to this on my blog and to say a few words about it in a new post? Barbara: No permission necessary. By all means, feel free to link to it in your post. As a long time social worker in many and diverse medical settings (hospital, dialysis, hospice, home care, Long Term Care), I’ve had occasion to observe and counsel many caregivers. One thing I’ve heard over and over is: “I promised never to put (the patient) into a nursing home. I feel this is a valid promise only if made after much discussion about the many scenarios which can happen and with a MUTUAL agreement. I have seen many dementia patients who were actually happier in a LTC setting, where there were no stressors to remember something or act a certain way and where the unit was set up for those with severe memory deficits. Also, not all people were created to be caregivers and an honest look at what it entails may lead one to decide that this is NOT something they can do (I also did Child Protective Services and saw many people who were not cut out to be parents). At any rate, as a 74 year old, still working in a LTC setting, I see much of this every day, and I truly feel for the caregivers. Incidentally, my husband has been diagnosed with Parkinson’s and I am entering that world of caregivers as well. Thank you for your article. I so look forward to them each week. Thanks so much for this, Alex! It has come along at a time that I really need to be reminded of all of those things, and I love it how those suggestions are all steps that someone can do themselves. After reading this post, I feel less hopeless, and more positive and strong. A physician can’t fix the world, but it is so cool how much the internet has widened your healing scope through your blog 🙂 Thanks again. Louise: You are quite welcome. I’m so glad the post resonated with you. Unfortunately this doesn’t work for everyone. My mom was a slave to my dad the last 15 years of his life. She wouldn’t even hire a nurse to help her. She did once but my dad “didn’t feel comfortable” with a stranger in the house so my poor mother had to continue to get him out of bed, put him in bed, take him to the bathroom, give him his shots, pills, take him to doctors appointments and clean up after him when he got sick, etc…she even pulled a back muscle one time and was in so much pain, but he still wouldn’t go into a nursing home. Honestly it’s really annoying trying to get a parent to start getting a life of their own. They were married 48 years and were the best of friends; she never complained, and he was always appreciative and nice to her but this was still troubling especially toward the end when we knew this was getting hard on her; actually I starting to resent my dad for doing this to her and not just going into a nursing home like he should have. He was way too dependent on her. We tried to get her to get other things going but even if she did take a trip maybe out here to see me she would always be worried about him and not want to leave him for long periods of time. He would pester her with phone calls to talk to her when he missed her, etc…but she never had good boundaries and they were just codependent on each other. In the end he had diabetes, congestive hear failure and Parkinson’s disease. This was impossible for a 70 year woman to be a nurse to all this. In July of 08 he passed. He was suffering so much but because she was married to him for 48 years and was his nurse day in and day out she had no idea what to do with herself after he passed. It’s getting a bit better but she still has crying spells even two years later about how she misses him. My mom never created much of a life away from him he was everything and to me this is so sad and depressing. I think sometimes you can be loyal to a fault. I’m still trying to get her to move on, but she still brings him up all the time. I even tried a dating site for elders. She has really good friends that spend time with her and all and she even does book clubs over her house so there is some hope but I think it’s so important to try to let young people know before they get married don’t get caught in this pattern of being to much of a caretaker. Having your own identity is crucial. Mary: What a painful ordeal for all of you. I’m so sorry to hear about your dad and the trouble your mom is having. It’s not at all uncommon for widows to have to struggle to regain their sense of independence, especially after having a husband around for 48 years (that’s got to be close to a record). I can tell how frustrated you must be with her, clearly as a result of how much you love her and want her to be happy, but everyone grieves in their own way and in their own time. Two years isn’t that long to miss someone after having them around for forty-eight. Give her time. Alex, you have had many eloquent thank-yous. I cannot do better than those who have already thanked you. So I’ll just say that your words were so real and true that they made me misty. Caregiving, yes, I embrace it; and yes, it has its tender hooks. I will share this article with my daughter who has a hard time as a single parent, caring for her 2 young ‘uns and doing everything else—jobs, negotiating with the ex-, working out, etc. Thanks for keeping in-touch with the issues of caregiving. I can see from your fourth paragraph that you took the time to speak with Mrs. S “extensively” about her caregiving role. That you cared to do that is a jewel of great value. Chris: Thank you so much for your comment. You raise an important point, the issue of caregivers worrying about what would or will happen to those for whom they care were something to happen to them. I have numerous patients who are younger than their caregivers and who will require care all their lives. I worry, and I know their caregivers worry, about what will happen when the caregivers are gone. No easy answers. I am trying to push this out to our nurses who care for our Wounded Warriors. Not only do I worry about burn-out for them, I worry about the parents and spouses of these warriors who have had their entire world turned upside down. I am trying to think of what it is about your manifesto I like the best. It is not the specific instructions but the attention to the emotions and tasks that take a toll on your quality of life. This is about living YOUR life with YOUR values and skills. Just naming those challenges touches me deeply. I have lived my entire adult life as a caregiver of my child, who is now my adult partner in coping with a life of continual change and losses in the physical world. Our family has taken on this task, and I am proud to say, even my disabled child has been allowed to grow up, make her own decisions and face consequences, empowering in its way. I consider every day my opportunity to live my values. Thanks for the help in clarifying my values. Preserve whatever you can of your original relationship. Know your limits. Value yourself for the care you provide. I really appreciate your advice, and also deeply sympathize with Mary Carlisle. My grandfather had dementia and went into a nursing home, but my grandmother practically moved in with him. She’d always been mentally ill, but his care gave her something to do and she became obsessive, visiting the home multiple times a day and fighting with staff over every little thing. Of course there were times when they were wrong and she was right, but her negative and controlling attitude invalidated everything she said. After about a year, the staff mostly ignored her. I feel that, as much as she wanted to help with my grandfather’s care—and she helped A LOT, don’t get me wrong—there were times when her behavior was hurtful to my grandfather’s health, and certainly to her own. He recently passed (on her birthday, no less) and ever since, she’s been a lot worse. There is an emptiness in her life where care giving used to be, and she is unable to get by in the real world (she went through 4 lawn care services in less than a week, even people she pays just don’t want to put up with her). I view myself as a sort of caretaker for her, even though I live far away. She calls 4-10 times a day, often in the middle of a true emotional meltdown. Because of her paranoia, I’m the only one in the family she actually trusts. She’s even talked about wanting to “join” my grandfather, and alluded to suicide. These phone calls tear me up. At times it has been difficult to keep up with my responsibilities because I feel depressed over how hopeless she is feeling (this is where knowing your limits comes in). I’ve tried to get her to talk to someone, but she refuses. She has even referred to me as her “trash can,” because she can “dump” all her feelings on me. I have had to learn to stand up for both of us. Now I try to talk about old topics, from before she and Papa got so sick. The ocean, gardening, things she used to enjoy. And I’ve opened up to some friends who support me- even if they cannot fix my problems… I’ve been so scared to let people in but it really helps. If you find the right people to talk with, they don’t judge you and you feel less alone. Thanks for all your articles. They really help me. Chris: Sounds like you’re finding a way to make the best of a difficult situation. When my wonderful husband had a stroke it was shocking, devastating and unbelievable. Here was a man who was as strong as a bull. He did everything. I raised the children and took care of the family, which included my mom, aunt, mother-in-law at various times. I think “caregiver” was pinned on me @ a very young age as my own dad had his first heart attack @ 40 years old and my mom could not face it. Being married for 44 wonderful years to a take-charge man was the most difficult. My husband was a captain in the army and thus showed me that I need not worry about anything. As I said before this became the MOST difficult. I didn`t even know how to handle the financial situation in the household because he didn`t want me to be burdened with other things that took up my time like all of the caregiving in the family. Please note women never ever let that happen. Not only was I completely lost with the financial situation I was handling I had to care for my husband. We did not have long-term care insurance so money was spent in his care. I went through a huge amount of retirement money just in his supplies that were needed for him. I now face selling my home and where to place us that would be cost effective. His brain is excellent so he would never thrive in a home of sorts. By the way, they say what doesn`t kill you will make you stronger; however it does take a toll. Most of my friends have faded away; they call but will not help. My family is working and cannot lose their jobs because they have families to take care of as well. I look at life so differently now. I cannot really find people around to help me and will not ask. I am managing but some days are bleak. Everyone has their own troubles and they hate to be reminded what could happen to them so they ignore it and us. I want to be of help to anyone who needs to talk about caregiving because it is what I know best as it started as young as 11 years old worrying and taking care of my own father. I think financial is the worst problem we all face with caregiving much more then the daily grind of physical care. Shelia: In my new book The Undefeated Mind, I tell the story of a woman whose story is quite similar to yours. It is so very hard.